I've spent all morning reasoning with lufflump. Some may call it arguing but without a raised voice I'm inclined to continue with calling it reasoning. It would appear that I have a three year old slightly obsessed with a 0-12month play gym. 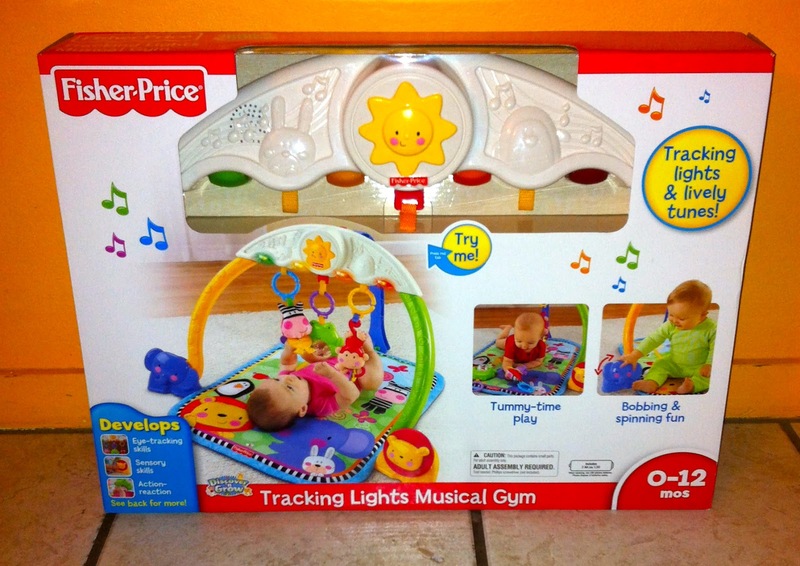 The four month old is also a fan of the Fisher Price Tracking Lights Musical Gym. Us parents are also fans. Not that we get down and play like the children but any fun activity for them that lets us have a coffee in peace is a friend of ours. Sesame can easily reach the toys with her hands and feet and the toys can easily be changed around. She's loving using her feet lately and gets such a shock when she kicks the sound and lights on. The Tracking Lights Musical Gym makes one of three animal noises (monkey, frog and elephant) before launching into music with the four lights 'dancing' to the music. Sesame loves to follow the lights with her eyes which is great for her development. 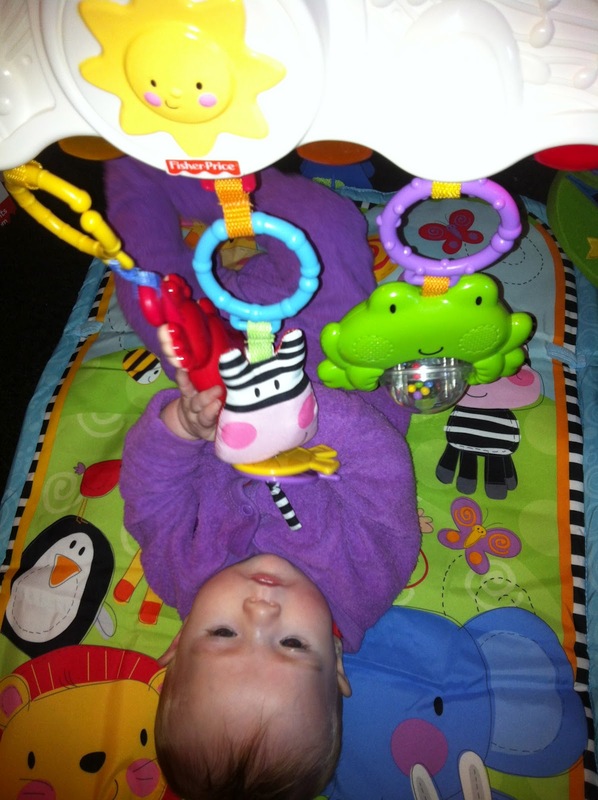 The lights also help to keep her interested that little bit longer than other play gyms. Lufflump loves to be the animal that makes the sounds; hopping around like a frog, laughing like a monkey or having a long nose like an elephant. I love that the music can either be adjusted, either loud or quiet. That definitely is brilliant if there are lots of other noises going around or if it's quiet time. 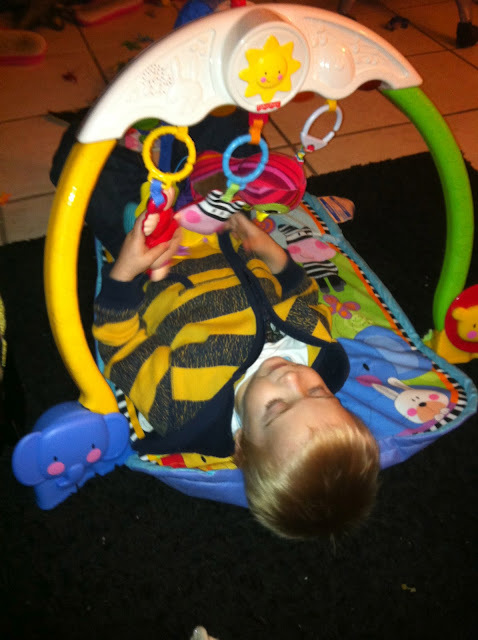 The mat is awesome too as it can be used for tummy time as well. Not that sesame stays on her tummy for long now she knows how to roll over. Hopefully she'll start rolling back onto her stomach so more tummy time occurs. Lufflump loves playing with the lion and elephant that are on the sides of the arches. Well he likes turning their heads around many times until it irritates me. That boy knows how to push buttons and he loves it! Watching sesame playing on the Tracking Lights Musical Gym right now brings a smile to my face, it's so wonderful to watch her discovering new things including her hands and feet. She's one happy camper which means the rest of the family are too. Now for the fun stuff. Mattel have kindly offered one Fisher Price Tracking Lights Musical Gym for a reader. 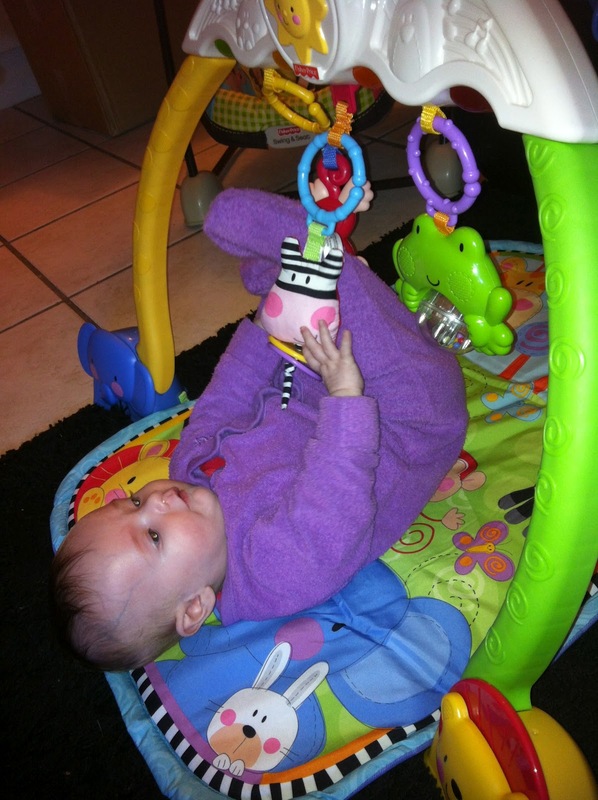 To enter please leave a comment telling me what is your favourite activity for newborns. 2. One entry per household. 3. Competition starts on the 10th July 2012 4:30pm and closes on the 17th of July 2012 at 12:00am (midnight) (AEST). 4. Please leave your email address, Facebook or blog link with your answer so I can contact you. 5. To claim the prize, the winner must reply to the winning email and accept the prize within 7 days of the email. They also must indicate their preferred address for the prize to be sent. If the winner does not respond within 7 days, they will forfeit the prize. 6. The winner will be chosen by myself based on what I deem to be the best answer. 7. The judge’s decision will be final and no correspondence will be entered upon. 8. Mattel will be sending out the prize to the chosen winner who has correctly claimed their prize. 9. 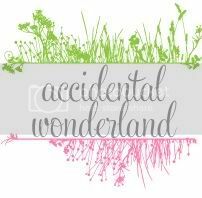 Accidental Wonderland (www.tutuames.com) will take no responsibility for any delay, loss or damage to prizes sent to the winner. This is a sponsored conversation written by me for Mattel. All opinions expressed are my own. Laying under the lemon tree watching the wind blow the leaves. Whenever my little ones have been grumpy taking them outside works. I hope it does for the next one due in September too!! Those first conversations, when a newborn looks into your eyes and gurgles and coos, and you know s/he's really trying to communicate with you. Encouraging those conversational skills is so special and fun! I so want one of these - and my baby is due in 6weeks6 days so it would come in very handy indeed! My favourite activity for a newborn - aside from massive cuddles! - is sitting or lying together with a mirror and watching their little faces as they try and figure out who they can see reflected. There is always that first beautiful moment when they recognise Mummy, and then that moment of realisation that the other gorgeous face staring out is theirs! The precious moments spent with my mom. Just her and me lying together in silence, so close and so connected!